With good landscape design, we create a certain satisfaction as you come up the drive through a beautifully flowering, manicured landscape that welcomes you home. It’s this sense of satisfaction and pride in the beauty of one’s home that the Etowah Group brings to each of its residential customers. We help homeowners develop and maintain a beautiful, functioning landscape, first, by listening to their ideas and plans and then designing luxurious outdoor living spaces, entertainment facilities, and recreational amenities into beautifully landscaped yards filled with flowering beds and seasonal color. The Etowah Group has many years of experience working with homeowners to design, build and maintain new landscapes ranging from a few trees to major landscape renovation jobs and construction projects that include outdoor living amenities from kitchens to pools to large, expansive patios with fireplaces. Our design capabilities integrate hardscapes, lightscapes, and water features into naturally flowering landscapes that add both value and beauty to your home while creating exciting new outdoor living spaces. 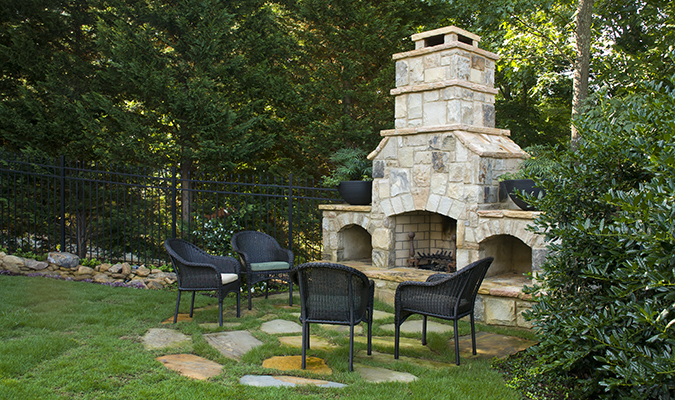 From small backyard improvements to major landscape projects, you can count on Etowah to listen to your ideas and develop a beautiful, yet functional design for your property. We will complete the installation and then provide regular maintenance and advice on additional steps to enhance and maintain your new yardscape. 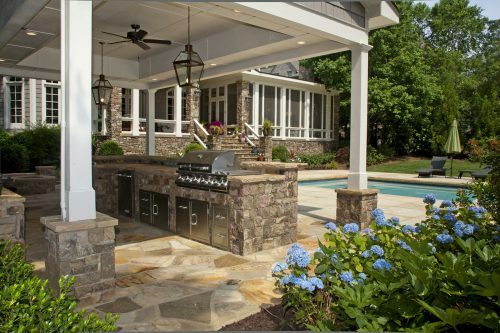 Outdoor living is about large kitchens, bars and entertainment facilities, expansive patios, and beautiful fireplaces with flames lapping at the natural stone setting. Your outdoor living environment can be one of refuge, filled with peace and tranquility and accented by bubbling brooks and small water falls. It should be a thing of beauty, accented by flowering plants, seasonal color, and a rich, inviting landscape that offers you that very special place you have always dreamed of – right in your own backyard. … all accented by beautiful landscaping.